Participation closes today at 11pm Local Time in Spain. Book will be sent to winner on the 2nd of January 2014! 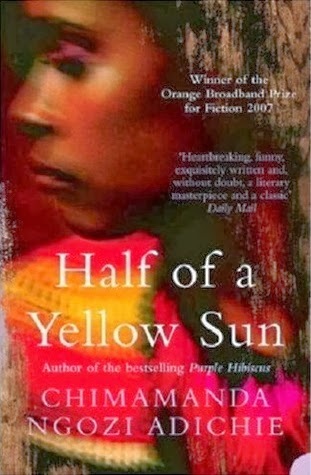 I am giving away a copy of "Half of a Yellow Sun" by Chimamanda Ngozi Adichie. Paperback, used and very good. It was given to me, since I already have a copy in hardcover, I decided to give it away from my blog. Chimamnda Ngozi Adichie is one of my favourites writers, actually, this particular book made it up to my top 10 list. It is one novel that I highly recommend. An epic narrative on the broken promises and lost of the Biafran war. Please click here to read my review. And click here to participate in the giveaway.